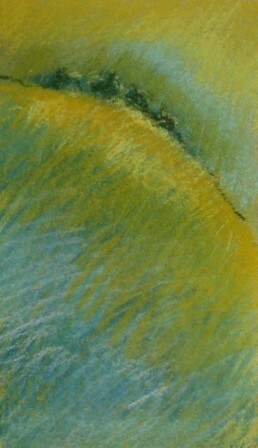 This small pastel worked on a watercolor background was entered into the Yolo County Fair about 2 to 3 years ago. Whether it won anything or not, I don’t remembered. But what I remembered that the buyer was willing to buy it even though she thought that it was not up for bid It was and was not known to her. What a compliment!